Istanbul homes almost one fifth of Turkey's 82 million strong population and resident numbers are growing daily. Since 2012, Istanbul property values in many areas have almost doubled. Apartments in Istanbul originally sold for as little as GBP 50,000, now achieve nearer GBP 100,000 and this trend is continuing. With the first phase of Istanbul's third airport due to open later this year and its potential to cater for more than 200 million passengers within the next decade, there is an understandable demand for residential and rental property in the city. An apartment in Istanbul is a savvy investment likely to enjoy healthy capital gains and premium rental returns if bought wisely. Improvements in Istanbul's infrastructure and facilities are bringing with them a new wave of foreign investment. Istanbul's strategic position between Europe, Asia and the Middle East offers businesses the ideal base for trading further afield. Istanbul is no longer simply the Turkish financial capital, an influx of foreign investment firms, global conglomerates and banks are now choosing the city for their primary offices too. Turkey's aim to establish Istanbul as a global financial centre by 2023, the centennial of the Turkish Republic, is now well and truly on the horizon. The last 10 years have seen the suburbs surrounding Istanbul's historic, tourist and business districts spring to life. Turkey's new generation, its young and educated workforce, gravitate towards Istanbul ensuring a constant demand for accommodation. Many of the urban regeneration projects on the Asian and European side are already reaping in rewards, and new transport links and multi-facility projects are now creeping into the outer suburbs. Former industrial or sleepy districts are now a hive of activity and modernisation. New contemporary, state of the art projects offers residents an easy life and new opportunities. Istanbul's first-class amenities, entertainment, schools and healthcare now rival the most modern and sought-after cities worldwide - and Istanbul is still emerging, there's still room for more growth, a lure hard to resist for many property investors. 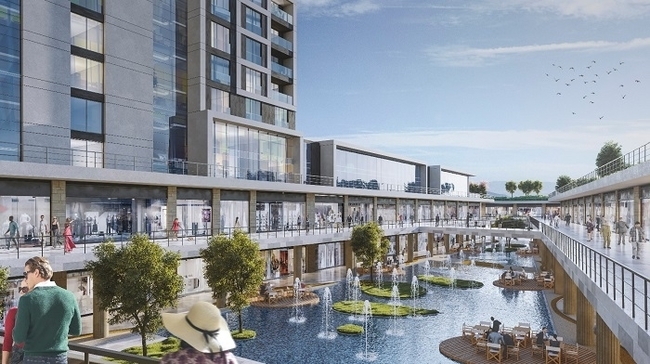 "If you're seeking value for money property investments and healthy rental returns, consider Istanbul's new Basin Express district" suggests Tolga Ertukel, Director of Turkey Homes.
" As Istanbul expands up to a 20 Million population at rocket speed, new generation areas, new infrastructure, metro lines and new housing is needed. And, needless to say, the third international airport due to open its first terminal to international flights on 29th of October 2018, should boost property prices and demand considerably. 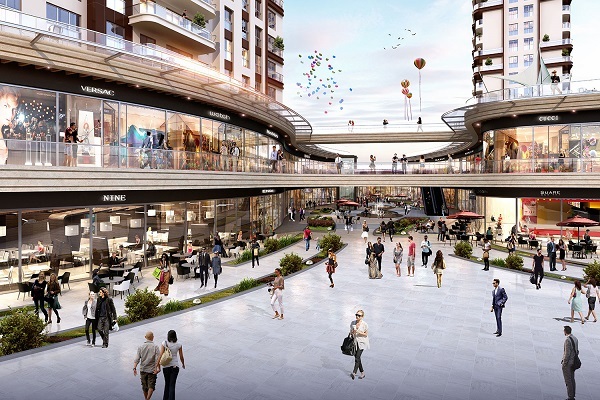 It is my belief that the new financial district of Basin Express which connects Ataturk Airport to new popular areas such as Kucukcekmece, Bagcilar, Bahcesehir are the areas to look into for value for money investments. 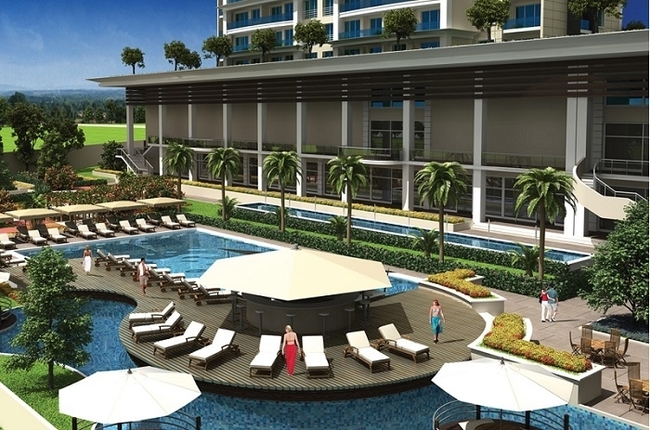 Two-bedroom apartments in Bahcesehir district on the European side 2 years ago started from as little as GBP 50,000. The same apartments today demand upwards of GBP 75,000 - a healthy premium. The Basin Express district is attracting a lot of attention ensuring high rental rewards and returns on outlay." These modern key-ready apartments for sale in Gunesli lie on the European side of Istanbul. They are ideally located within easy reach of Ataturk airport (20 minutes) and the Basin Express Road business district, and only a 45 minutes transfer from the New Third Airport. With the TEM and E-5 highways within easy reach, and excellent transport links to many other areas, they are ideal for those looking for short or long-term rental investments, or for investors simply seeking a base in the region. Healthcare, schools, shopping malls, restaurants and bars are all close at hand. The complex boasts 21 on-site stores including pharmacies, clothing boutiques, cafes and a bakery. There is also a heated indoor pool, spa, children's play areas and sports facilities on site. If you are after a modern apartment in a highly sought-after beach side area, these luxury apartments for sale in Beykent in Buyukcekmece are certainly worth consideration. Now mid-way through construction with a due date of September 2019, they lie alongside the European sides major E-5 highway and only a 20 minutes transfer from Ataturk Airport. The area could be described as a 'city within a city' with major shopping malls, schools, medical facilities and all the necessities for an easy life close at hand. The Metro and Metrobus station are located next door for those looking to avoid traffic, and the affluent West Marina is less than a 10 minutes away. This luxury off-plan project of apartments for sale in Bagcilar lies close to the Basin Express Road and TEM highway intersection and just 10 minutes from Ataturk Airport. Although it offers residents parking, this development is ideal for those not looking to brave the roads with three Metro lines and the Metrobus all nearby allowing for easy commuting throughout the city. This impressive project is drawing a lot of attention due to its close proximity to the planned Istanbul Canal Project, already tipped to become the 'second Bosphorus'. If you are considering an Istanbul property investment or would like to know more about these projects or the many others we represent, please contact Turkey Homes or see our website. If you are in Istanbul and would like to view projects or meet with one of our Turkish, English or Arabic speaking consultants, our regional office is conveniently located in Bahcesehir within easy reach of many of the developments.